Doc didn't expect any patients before 10 o'clock this morning, so he was up and coffee'd and gone by 6:30. Lewis Creek. The Lunker's hole on Lewis Creek. The Lunker is a huge rainbow trout that everyone knows about and no one has caught. So far he has resisted flies, worms, salmon eggs, spinners, and even an imitation mouse that Dud tossed in there one time just to see if the Lunker had a bass's appetite. Fish aren't really all that bright, but the Lunker seems to deserve membership to Fish Mensa. No matter how fine the leader a guy used, it didn't fool him. Trying to figure out what to use and how to use it has fueled arguments for several years now. But Doc thinks he has it figured out now. He has a super-fine tippet on his fly line, and used his magnifying glasses to tie a midge that is so small that if he dropped it, it would be gone forever. Doc realizes that with that fine a line, he stands a good chance of having the Lunker simply snap it off and swim away. But that would be all right with Doc if the fish just came and took that fly, because no one else had come that close to catching him yet. And there's that wonderful new fly rod that Doc made himself from a Sage blank he bought himself at Christmas. With that rod, he believes, he should be able to feel a fish breathe in that creek. He was in the Mule Barn truck stop before 9 a.m., holding court at the philosophy counter and told the boys what happened. "The Lunker came up from under that big rock ledge, you know?" Doc said. "And he came within ... maybe four inches of my fly as it went by." "Four inches!" said Dud. "Hey, Doc, can you show me the pattern you tied for that?" "Sure thing, Dud," said Doc, grinning. Sometimes there is great glory in failure. 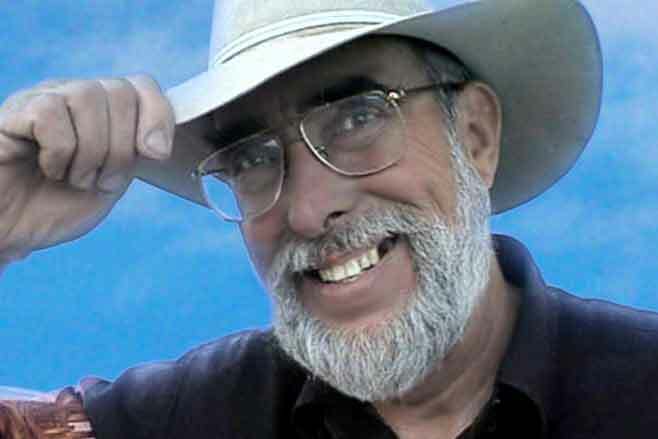 Listen to "Home Country with Slim Randles" on your local classic country music station.